One month before the attack on Martine, Adam Dollard had marched from the watchtower on the frigid night of March 16th, 1660, to convince the governor of Montreal to start a war. He moved quickly down the narrow roadway, one of only three in the town. He squinted to see in narrow alleys, his gaze led by slim shafts of light from the barred windows. He stayed in the center of the path, keeping space on either side for reaction time. The houses were huddled together like children just out of the water. Long icicles were firming up for the night on their wooden overhangs. 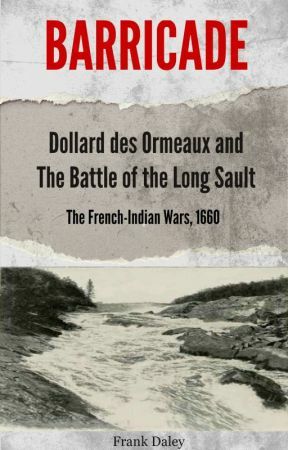 Dollard&apos;s eyes scanned the massive, Breton-style buildings as he walked along the late-winter, snow-packed path, aware that the Iroquois could hide in woodpiles or doorways, waiting for inattentive Frenchmen. "In France, it&apos;s politics. Here you can freeze to death on the palisade. But it amounts to the same thing as Paris–I still can&apos;t get into action. I&apos;m supposed to be a soldier, but I&apos;m a glorified caretaker here. Damn!" He kicked a piece of ice out of his path. Governor Paul Chomedey de Maisonneuve owned a spacious house, but he had loaned it to the Black Robes. He didn&apos;t mind. He actually preferred it with his ascetic frame of mind. Now, he lived and worked in a typical two-storey, a massive, squared, stone building, more like a small fort than a house. Dollard knocked on the large wooden door and was admitted by his friend Claude de Brigeac, a garrison commander, like himself and Maisonneuve&apos;s secretary. Snow swirled through the door, and the wind slammed it. The secretary laughed with mock malice. Dollard&apos;s first name was Adam, but nobody ever used it. "How would you know? You spend your life indoors." Dollard growled, smacking his leather-gloved hands together and stomping his feet as he walked over the to the fireplace. "I had a fire going in the bastion, but de Belestre relieved me, so he gets the benefit of it." He nodded his head toward the door. "Maisonneuve wouldn&apos;t permit Pierre or me in with them. They&apos;ve been talking for two hours," said de Brigeac. "God, and you haven&apos;t even been inside?" "No, he said we could go in when you went in." "What the hell&apos;s going on?" "I think he wants to judge us as well as you." "He doesn&apos;t want us pushing your plan because we&apos;re friends, find out they&apos;re against it and then watch us reverse our opinion and back off because we thought it prudent in front of our superiors." "Well, that&apos;s bullsh..." his voice rising. "Hey, you&apos;d better calm down!" He looked anxiously at the governor&apos;s door. "Maisonneuve wants a military decision from Pierre and me, not an emotional one." "Right!" said Claude. " But you are missing the point. Whatever personal feelings we have we have to put aside. 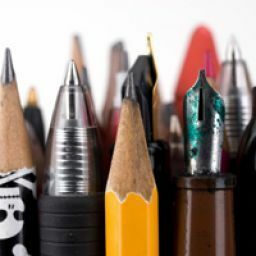 We buy it, but you&apos;ll have to convince them as well as us of the value of your plan on its own merits." "I just want to kill a few Mohawks. Everybody&apos;s making it the siege of Troy. How long have they been in there?" "I told you. Two hours. If you continue with the attitude you&apos;re displaying now, not only will you not get this commission, you&apos;ll be relieved of your command. I&apos;m warning you."